Mr. Mohamed Mostafa received his Bachelor of Law from Cairo University and a member of the Egyptian Bar Association, Court of Appeals. 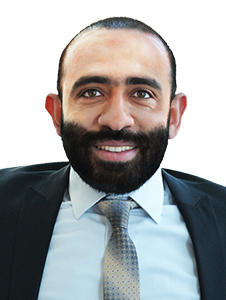 Mr. Mostafa has been practicing law for over eight years and focuses his practice on Commercial, Corporate, Intellectual Property and Contract Drafting and Review. Mohamed speaks Arabic and English.